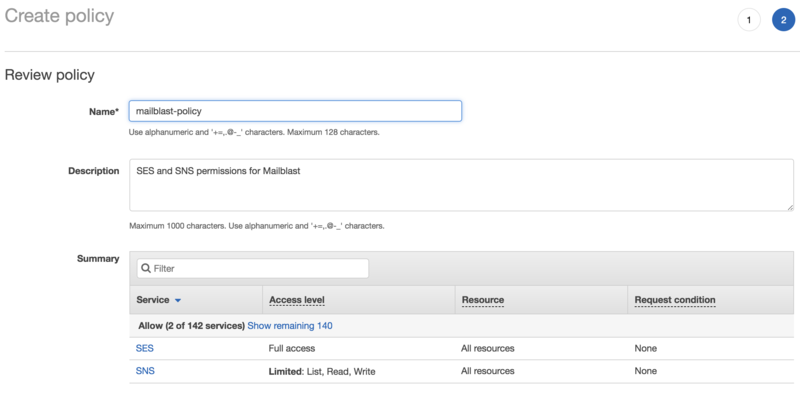 Even if you already have an AWS account you still need to Sign Up to Amazon SES. Go to the Amazon SES Sign up page and follow the On Screen Instructions. Once you are done you can continue with the following steps. 1. 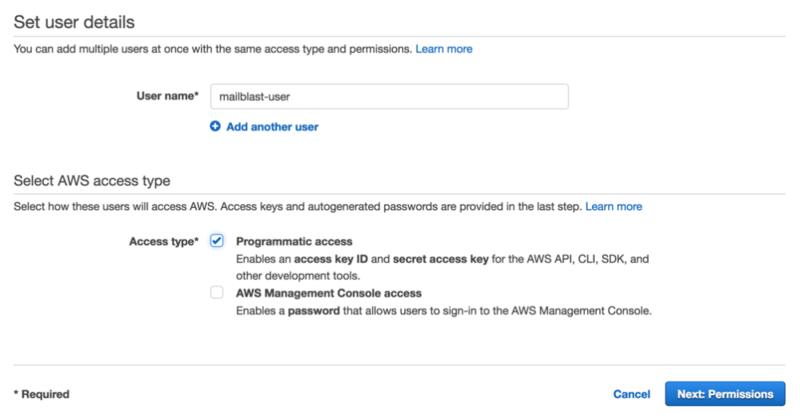 Create a permissions policy for Mailblast. We only need access to AWS SES and AWS SNS for email delivery and tracking. 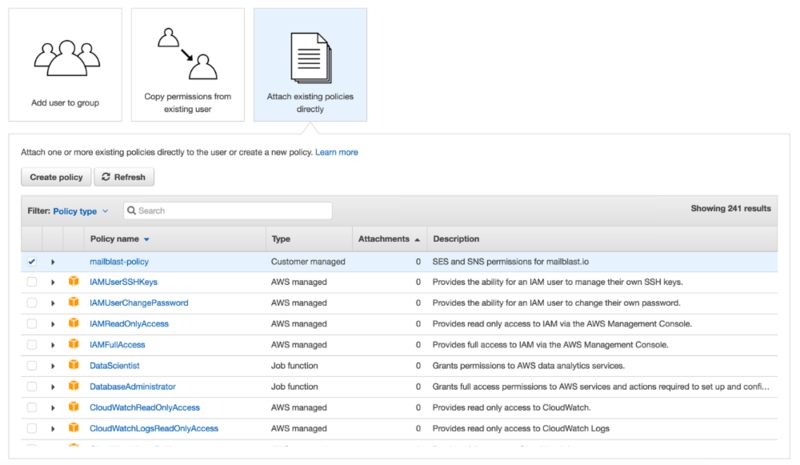 Enter mailblast-policy as the name and enter in the above policy in the Policy Document. This gives Mailblast the required permissions to send and track emails on your behalf. Click on the Create Policy button when done. 2. Create new user for Mailblast. You now need to a create a new user. Head over to the the IAM Management Console and create a new user called mailblast-user. Check the Programmatic access option click Next: Permissions. You now need to attach the permission policy you created earlier to your new user. Select mailblast-policy and click Next: Review. Just about done! Click on Confirm User. Click Show to reveal the credentials and Copy the Access key ID and Secret access key over into the Mailblast AWS Settings page.